Our skin produces sebum (oil) for protection against the elements. Too much sebum results in oily skin, while too little results dry skin. When sebum comes in contact with air and pollution it oxidizes and the top becomes dark hence the blackhead. The dark, visible part is like a lid on a pot, while the pore below is full of sebum that cannot come out because the top is now hard. Oily and combination skin will have more blackheads, while dry skin has almost none. Don’t try to squeeze them out. You may bruise the skin and the blackhead will still be there, mocking you. Don’t resort to removal strips. The ingredients on these may irritate the skin and they only remove the top layer, leaving the pore full of sebum. 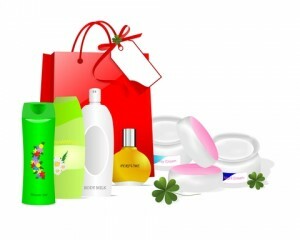 Don’t use harsh cleansers containing alcohol and avoid rough, grainy exfoliants that may irritate or scratch the skin. Do cleanse at night with a gentle milk cleanser AND toner or a special face wash. You may use a good facial brush on the areas with blackheads. Do use a moisturizer suitable for your skin type. Dehydrated oily skin will produce even more oil to compensate for lack of water. Do visit your esthetician once a month for a thorough cleansing facial. Do use a face mask once a week. Ad ult acne is quite different from juvenile acne, both in causes and treatment. Adult acne can be caused by:- stress, medication, hormonal imbalance. Hormonal imbalance may be triggered by pregnancy, menopause or HRT (hormone replacement therapy) use. Adult acne can appear on normal skin, combination skin and even dry skin. – Long-term use of antibiotics. – Topical applications of benzoyl peroxide. – Topical retinoic acid (vit.A)- irritating. – Birth control pill is useful in cases of hormonal imbalance with excess androgens.A visible sign of this problem would be excess facial hair, hair loss or thinning hair. With the exception of the birth control pill and antibiotics, all the above forms of treatment are irritating to the skin and may leave adult skin with lifelong sensitivity. At the European Touch we have alternative tools that offer a more natural solution to heal, nourish and regenerate the adult acneic skin without any negative side effects. Adult acne is not an insoluble problem and our pictures prove it. 1. Glyco Milk + Fibro Lotion A.M & P.M.
2. Synchro + Immuno mixed in equal amounts A.M. & P.M. If you find Synchro a little too heavy you can substitute Synchro2000for the same effect. In addition to facial products, GERnetic bust treatment products are very beneficial because they balance hormonal activity and reduce the occurence of adult acne. Please remember to use small amounts, as GERnetic products are highly concentrated and there is no need to use large amounts in order to get the desired effect. At The European Touch we are commited to your success in treating adult acne. Follow our advice and you will solve adult acne problem in no time. We are available for FREE private consultation over the phone or via email, so feel free to contact us. Expert Marian Northington M.D. director of UAB Cosmetic Dermatology said recently : “Daily incidental sun exposures add up and result in wrinkles, sunspots and potential cancerous lesions”. She went on to add that : “The number 1 way to prevent photoaging is wearing a 30-plus sunscreen, every day”. For those of us who already exhibit signs of skin aging, the advice is to use Retinol ( a derivative of Vitamin A) based products, which improve skin pigmentation and cause the increase of collagen production to help with fine lines and wrinkles. We recommend GERnetic Melano 4 or 5 for sun protection. Easy to apply Melano 4 is non-oily and works well as a makeup base. Retinol Fusion PM by Peter Thomas Roth is our Retinol choice for night use. For a power packed Retinol duo, layer under Un-Wrinkle Night! To summarize : Sunscreen and Retinol daily. Not too hard, is it? Adult acne is quite different from juvenile acne, both in causes and treatment. Juvenile acne will appear on oily skin and in many cases is treated with topical products containing benzoyl peroxide, salicylic acid and other agents which are too harsh and potentially irritating to adult skin. The causes of adult acne can range from stress to medications, to hormonal inbalance. Hormonal inbalance may be triggered by pregnancy, menopause or HRT (hormone replacement therapy) use. Unlike juvenile acne, adult acne can appear on normal skin, combination skin and even dry skin. – Topical applications of benzoyl peroxide will, depending on strength and frequency, produce free radicals and cause premature aging, just like excessive sun exposure. – Accutane is a very effective medication in severe cases, but it can cause birth defects and has other serious side effects such as liver damage. – Glycolic acid products are very useful adult acne products, provided they are used in conjunction with a nourishing cream. – Topical retinoic acid (vit.A) can be very irritating to adult skin. – Birth control pill is useful in cases of hormonal inbalance with excess androgens. A visible sign of this would be excess facial hair, hair loss or thinning hair. With the exception of the birth control pill, all the above adult acne products are sometimes irritating to the skin and will leave adult skin with lifelong sensitivity. At the European Touch we have alternative adult acne products that offer a gentler solution to heal, nourish and regenerate without any negative side effects. In case of hormonal acne you will, of course, use prescription birth control pills as well as the skin care regime. Last, but not least we suggest you take a good multivitamin, a tablespoon of milk thistle per day and drink lots of water. Adult acne is not an insoluble problem and many of our happy clients are living proof of it. At The European Touch we are commited to your success in treating adult acne. Follow our advice and you will solve the adult acne problem in no time. Contact us at info@theeuropeantouch.com Consultations are always FREE. Are Your Anti-Wrinkle Products Good Enough for You? In the search for effective anti-wrinkle products we are faced with dozens of products that promise the moon and deliver minimal results, if any . Beautifully photoshopped models in magazines seem to have miraculously benefitted from anti-wrinkle products which do nothing for you once you take them home. How do you avoid making the same mistake over again? A little anatomy is in order here, so we understand the mechanics of skin aging. epidermis – the top layer made of dry, dead skin cells. blood vessels, water and other components. basal layer – primarily fat cells that act as insulation and protection. Aging happens in the dermis, the live layer. Collagen and elastin fibers break, become slack and naturally occuring cell renewal slows down, so wrinkles set in. Our skin also contains a large amount of water that plumps up the cells and fills the spaces in between cells. Relatively small amount of water loss, or dehydration, can result in fine lines, which, if dehydration continues, become wrinkles. Still in the dermis, we find melanocytes, cells that produce a pigment called melanin, a process otherwise known as tanning. Tanning is a self defense mechanism that protects the body from UVA and UVB damage, in itself an aging process. To summarize: when we look for anti-wrinkle products there are several problems to deal with, therefore any antiwrinkle product worth its salt must address at least one or two, if not more of these problems. 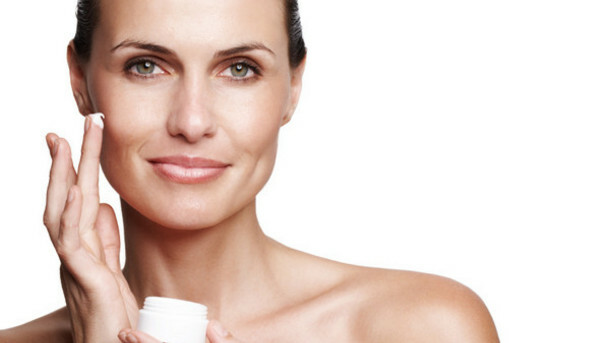 Moisturizers and hydrators are the first line of anti-wrinkle defense. They ensure the water content of the skin is topped up so fine lines have no chance to set in. Chemical exfoliants such as retinol and glycolic acid will, by their very sloughing action on the skin, cause to speed up the cell renewal process. Collagen and elastin fibers regenerate with anti-wrinkle effect.The skin appears smoother and brighter because layers of accumulated dead cells are removed. Exfoliation will partially remove sun damage, such as age spots. Sun screens are to be considered anti-wrinkle preventive products and must be used regularly. For up to the minute anti-wrinkle products, look for ingredients such as vitamin C that lightens and regenerates, peptides and neuro-peptides that send signals to skin to activate anti-aging mechanisms that help the appearance of deep wrinkles and expression lines. Now that you have a better overview of the issue of anti-wrinkle products, you can take a look at the jars on your shelf and make sure they are indeed good enough for you.